See below for seven of my favorite winter training tips to get you out the door faster! This one is key – especially in the winter. In the summer, if I’m feeling good and the weather is super nice I’ll sometimes do without the tunes during a longer workout. But in the winter? Noooooo way. I need that extra burst of energy that the music gives me. BUT, admittedly, I barely ever make new playlists. I usually make them super short, forget to add good pump up songs, and stick to the same tunes. I’ve found a solution lately, though. I love 8tracks. It’s an app/website where you plug in keywords for the type of music you would like to listen to (for example “dance + party” “rap”, “house” or other keywords like “summer + country”) and various playlists come up. You can listen to them for free! Love, love, love. Lately I’ve been obsessed with mashups/EDM/house music for running (although sometimes I stick to traditional pop stuff), so I’ve been listening to the (playlists named by their creators) “Let’s Go 2014” playlist, “train like a beast look like a beauty“, “keep calm and party all night“, and “back to school EDM mix“, to name a few. TWO || finding YOUR big motivation. So. Important. You’ve GOT to have some kind of fire lit in you — some motivator that’s going to get you out of your warm, cozy bed on a freezing January morning to go workout. Whether it’s signing up for that race you’ve always wanted to do, chasing a new PR, fitting into those jeans from last summer, or just increasing your overall fitness, find something that motivates you. And use it. THREE || switching it up. 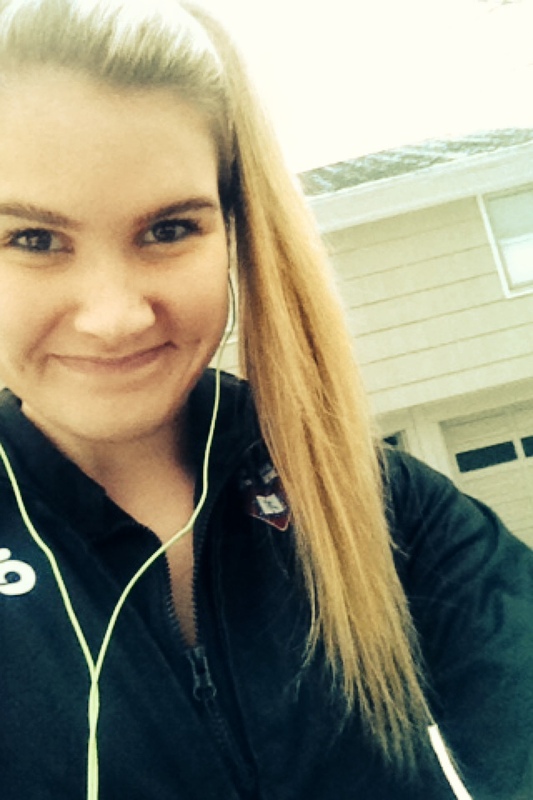 Switching up workouts in the winter is key. Try some new classes at the gym (my mom is making me try a barre class with her at the gym tomorrow), speed intervals, trail runs, bike rides with friends, new routes (look for some here), or anything else that will switch up your routine a bit. For example — this morning, instead of just doing 90 minutes of spinning in my basement, I headed to the gym, did a 45 minute high intensity spin class, did some sprint intervals on the erg, did a 45 minute core set, then did 10 minutes on the stairmaster (at high levels to break a sweat) followed by a 10 minute cooldown on the elliptical. It kept me moving, was a GREAT workout, and I was never bored. FOUR || leggings. leggings. leggings. When “The Januarys” have hit you — as in you’re moody, tired, achy, and all you want to do is eat, it can be tempting to tell yourself that it’s okay to take a few days off. BUT, if you have a plan and stick to it (like an Ironman training plan, extended sprint plan, plan from a coach, or a personal plan you’ve outlined for yourself), it makes it a lot harder to skip workouts, and a lot easier to stay on track. SIX || …have a backup. Winter weather is crazy. In December and January alone, there were days in New Jersey that were fifty degrees, and days that were below five. You have to be willing to adjust your plans — and make working out a non-negotiable. If a snowstorm hits, don’t use it as an excuse to take a day off. Go on the treadmill. Spin inside. Do a weight/ab circuit. Find ways to stay fit & on track! SEVEN || the little things. Noticing the little things — especially in the winter — will keep you moving and motivated to continue training. Log your progress, and give yourself props for pumping out a new PR on the treadmill, trying a new class, increasing the weight on your bench press, or whatever it is you’ve been working on lately. Talk with friends (and YoungTri Members) about what’s been going right/wrong for you this winter. Journal if it helps you. 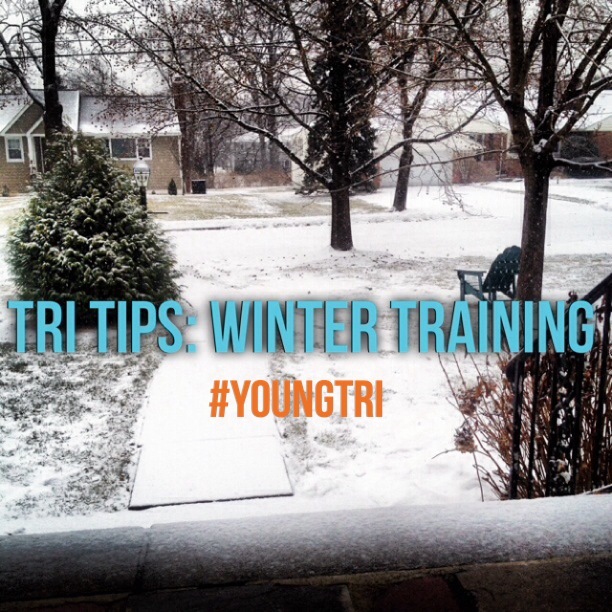 What are some of your favorite winter tri training tips? We’ll be posting more (and some YT members’ favorites) soon in part 2! I like to do my interval workouts indoors on a trainer, rollers, or treadmill when the weather isn’t great outside. When I do get a nice day, I like to do my longer endurance workouts outside. This makes the monotonous indoor workouts go by much faster and allows me to enjoy my time outside. I also enjoy meeting up with friends and local groups to swim, ride, and run.